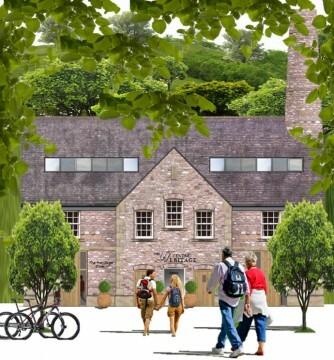 The visitor centre will be a newly constructed building, purpose built to provide the visitors to the village an insight into what makes Stoney Middleton such a remarkable place. The building will be known as ‘The Cupola’, an iconic building taking its appearance from the former lead smelting cupola, ‘The Lord’s Cupola’ which once stood on the site. The visitor centre will have free on-site parking, and will operate an entrance fee by donation, ensuring it will be accessible to all. There will be direct access paths to the village heritage trails, and to the former Goddard’s limestone quarry, now restored and returned to nature. 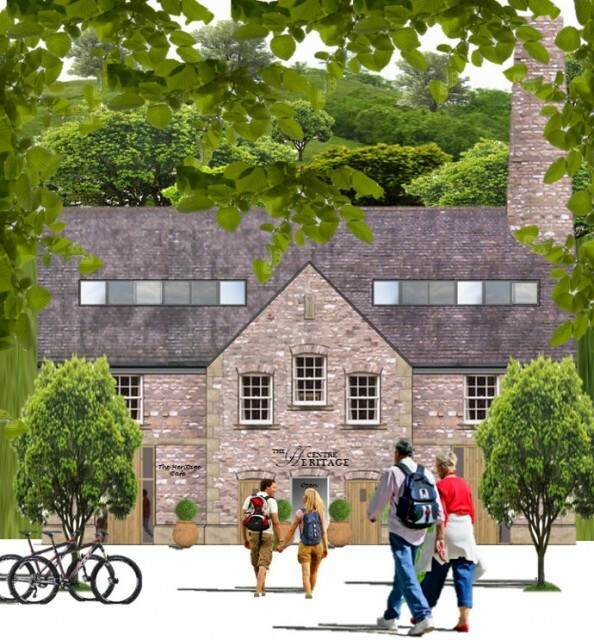 The building will incorporate a heritage centre, café, craft shop and bakehouse. Stoney Middleton Visitor Centre will be located on the site of the former ‘Lord’s Cupola’ which operated from 1740 to 1885. The new purpose-built centre will be known as ‘The Cupola’, it is to be built to reflect the style of the original Cupola building including its tall iconic chimney. The heritage centre will educate and entertain the visitor beyond expectation. It will utilise varied outputs to tell the fascinating, intriguing and varied story of the village and its former industrialisation. Lead mining, quarrying and bootmaking were the very embodiment of the village. A hard life backdrop to the famous stories of survival, mystery and murder which entwine themselves within the village’s intriguing past. The Cupola kitchen café will provide an equally unique experience, with an imaginative collection of items from the Bakehouse. Menus will have an imaginative uplift on homely classics, made from the products of local artisan producers. The Bakehouse will provide speciality breads, cakes and pastries. These will be incorporated into the café menus and available to purchase from the bakehouse and craft shop. The Cupola Craft Shop will tell the story behind the varied items it will sell, with an overarching theme of tradition, originality and quality, made lovingly and locally, generating purchases of indulgence – ‘a step back in time, in every sense’. Is the visitor centre still going ahead? Thank you for your interest…..the answer is yes, it is hoped that building will commence mid 2017. Do you have any particular reason for asking? Hi, do you have any paintings by my Grandpa, Herbert Gregory Slater, who has a bench in his memory in your village? No sadly we don’t have any of his paintings, they were very beautiful.